I’ve been working on the cut of the VHS Massacre documentary (A doc about cult films and the decline of physical media). It’s getting to a point where I can see where the rough edges are. It will take some months before I can cut out the fat, get the b-role in place and add in a few last movie clips. So some of VHS tapes that we’ve scavenged NYC to find needed to be transferred and digitized. I had to transfer from VHS, to this old Mini DV camera and then capture via firewire, with a 400 to 800 firewire adapter on an old iMac so I can edit on a new iMac. There are many years of technology represented in this transfer to get this horrible VHS footage but it was worth it? I mean, it was worth it! It was kind of fun actually. I think the doc will come out well. I get a bit of a sinking feeling when I think of doing the deliverables once we distribute the film (Master Copies, Dialogue lists, paper work, M & E mix and so on). I’ve done this on several films throughout the years and it is a horrible process but is is required to put the film out there. First things first, I have to finish the film. Not much recent news on my last film Rudyard Kipling’s Mark of the Beast but I did stumble across an article on which Phil Hall star of Mark of the Beast speaks briefly on what is was like to be on the set of Best. Read Here. 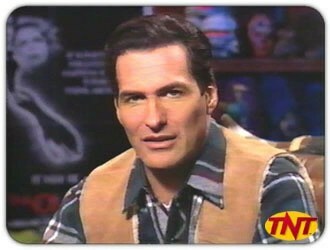 John Bloom aka Joe Bob Briggs Radio Interview! This week we got to sit down with B-Movie hero John Bloom (Joe Bob Briggs) host of TMC’s Drive-in Theater and TNT’s Monstervision. This goes to show that you can meet your heroes and not be disappointed. Special thanks to Debbie Rochon and John Bloom. With hosts Thomas Edward Seymour, Ken Powell and Dave Leute. And help support student filmmaker, Jose Ramirez’s new film by donating HERE!